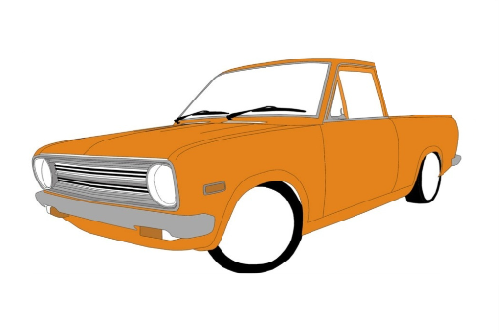 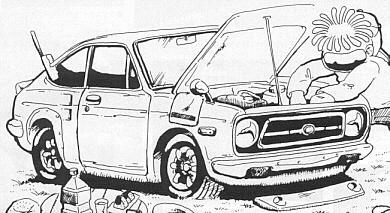 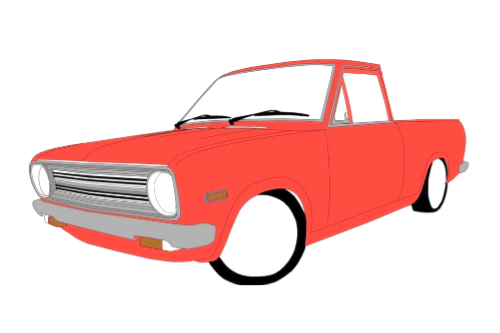 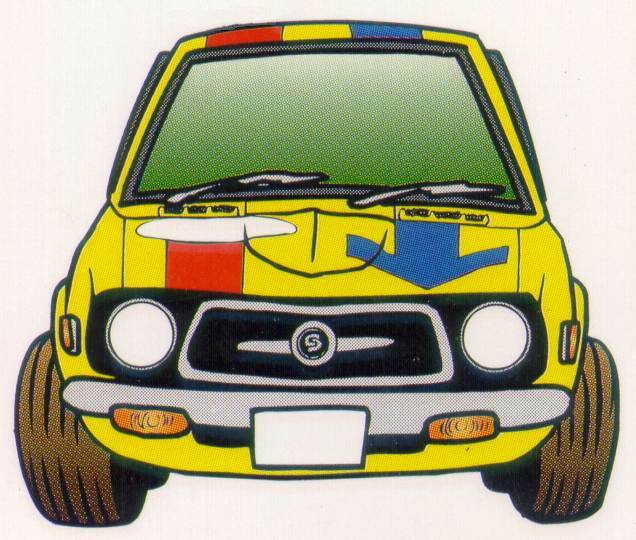 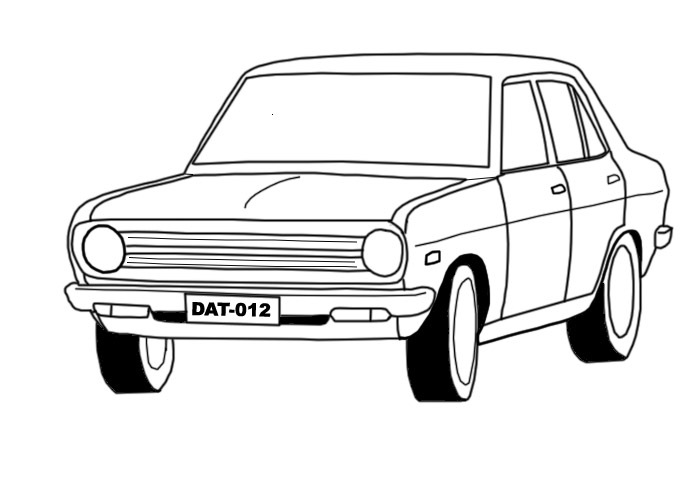 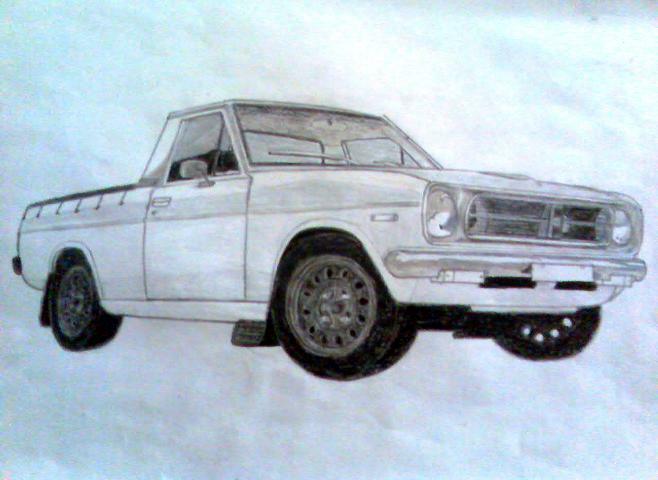 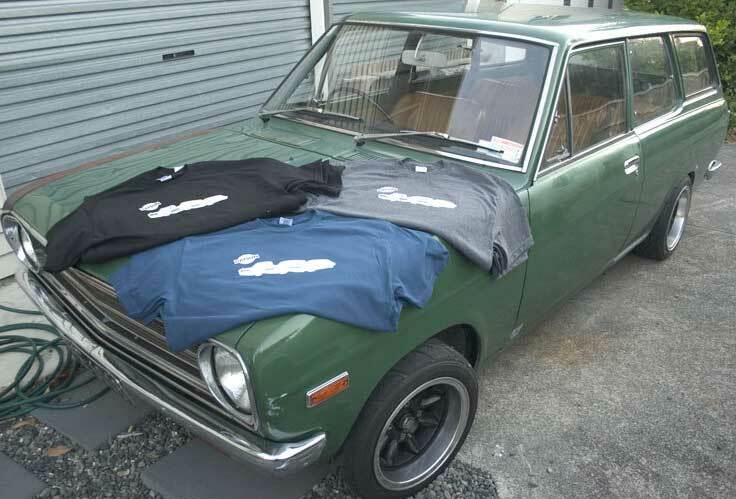 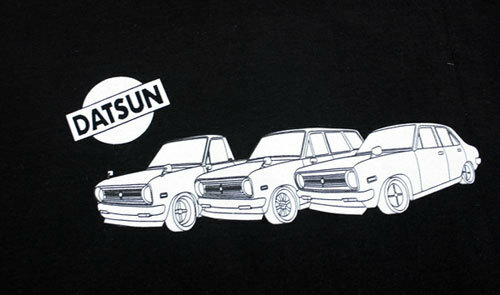 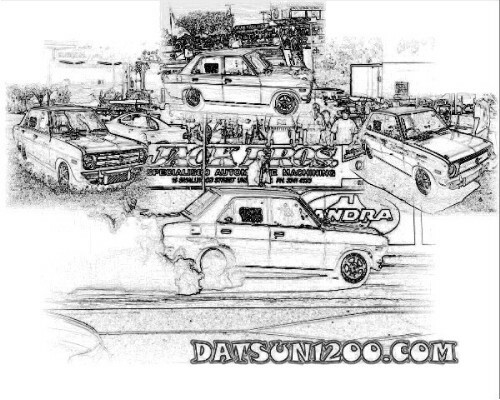 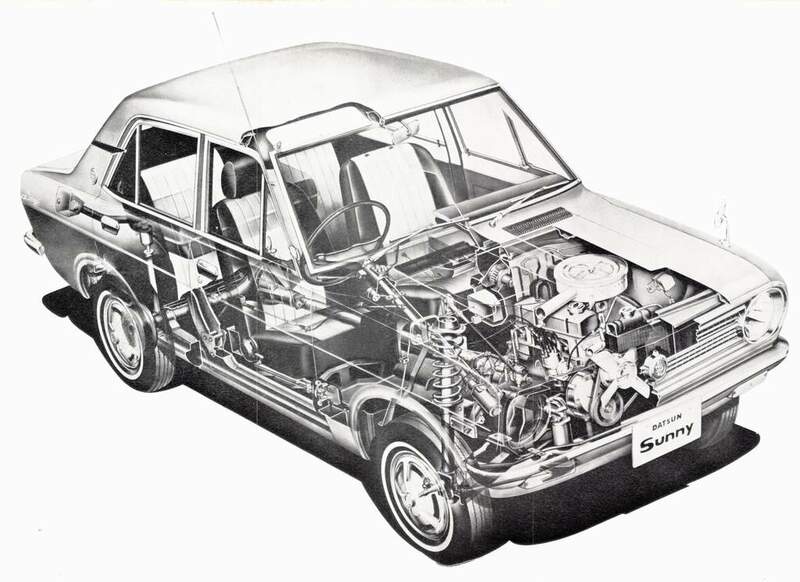 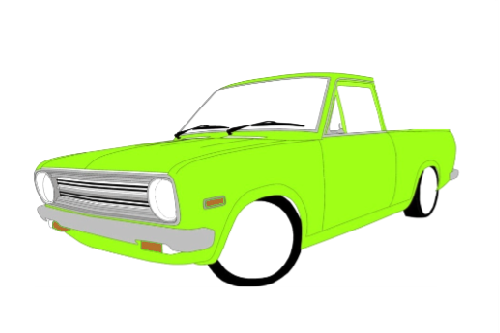 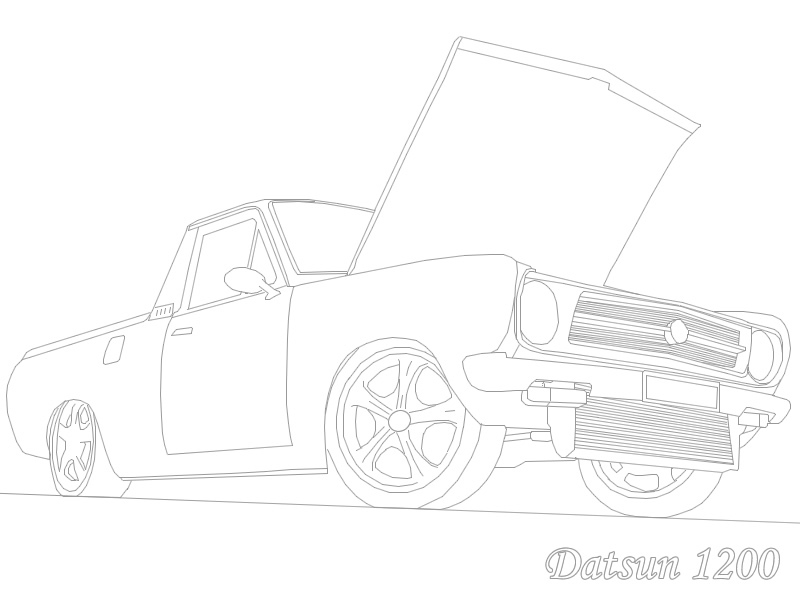 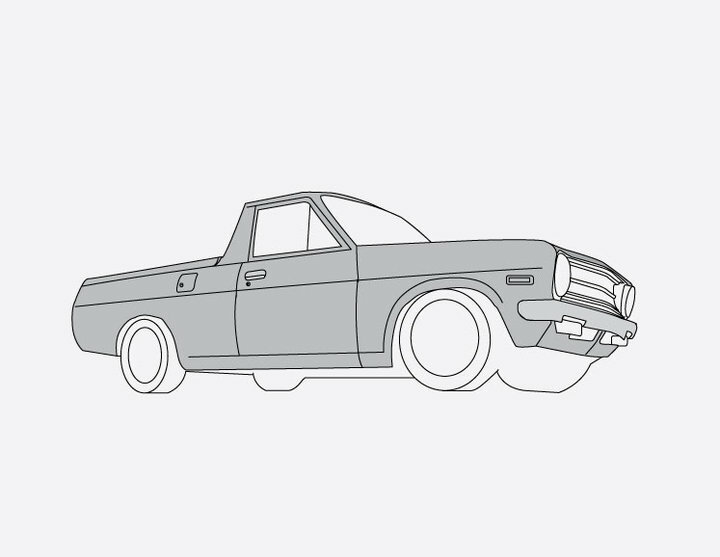 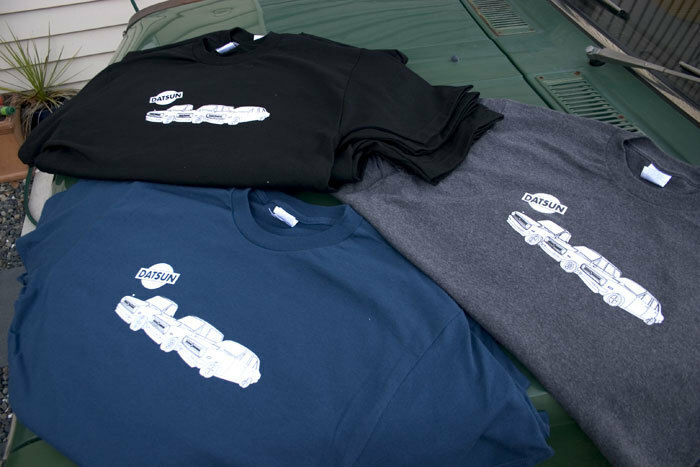 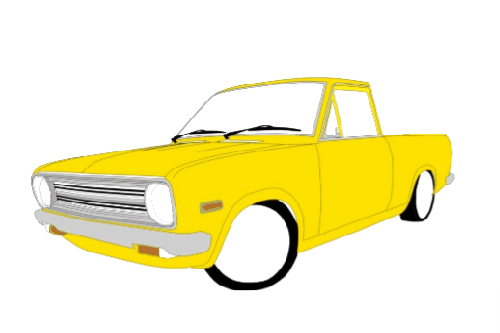 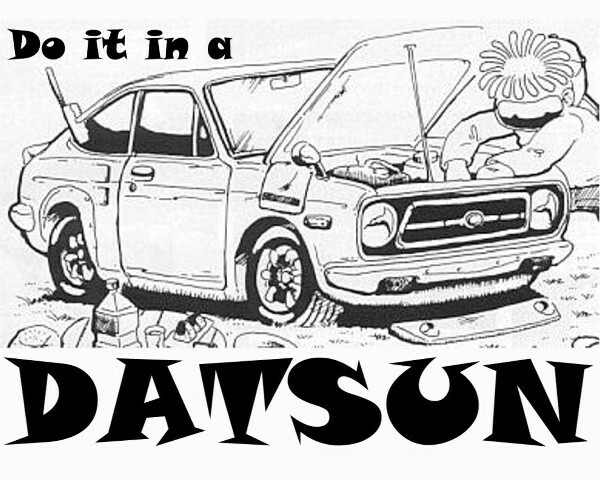 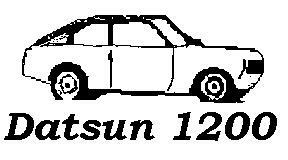 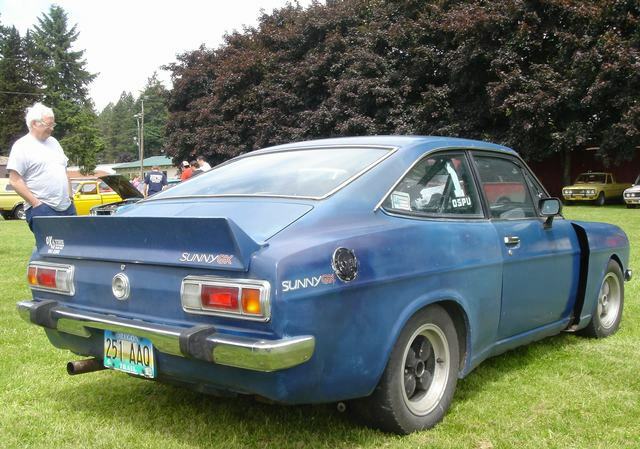 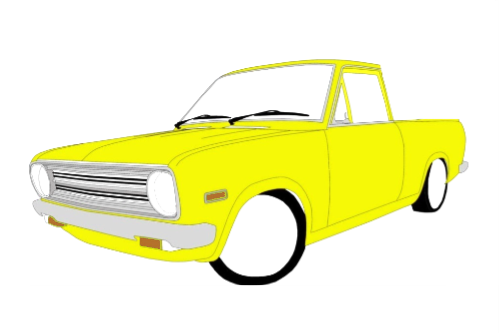 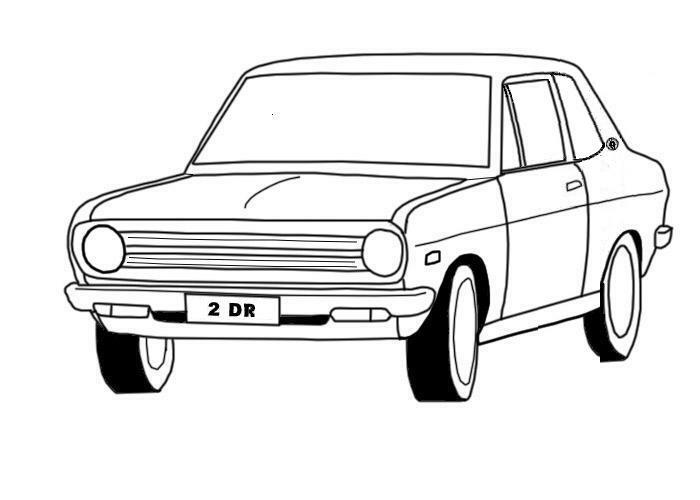 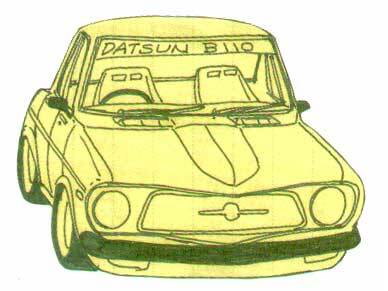 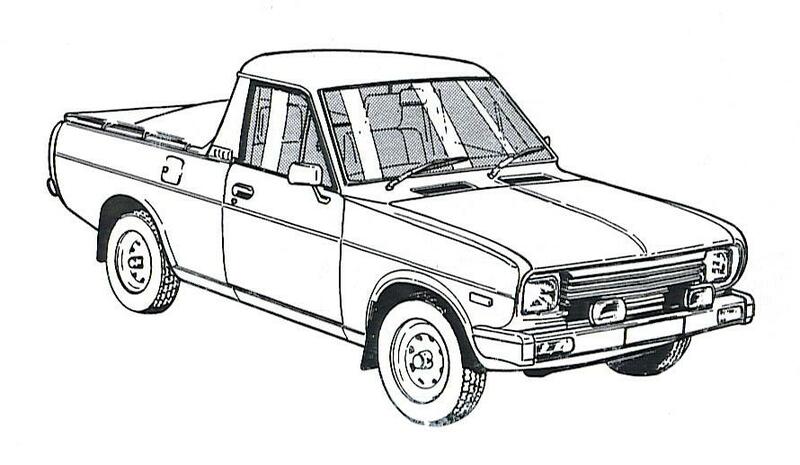 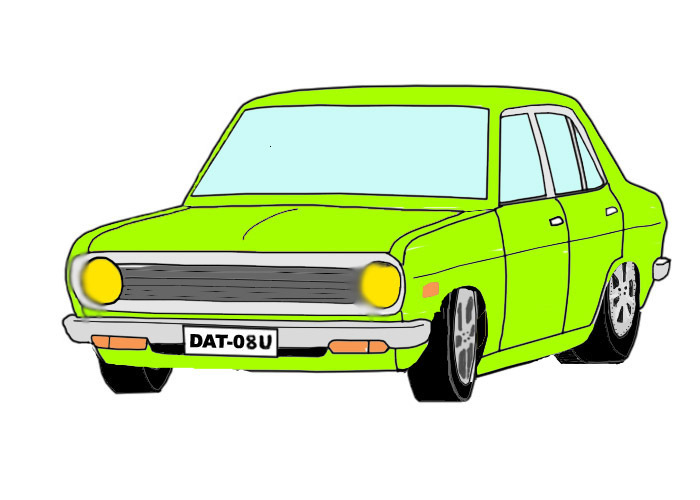 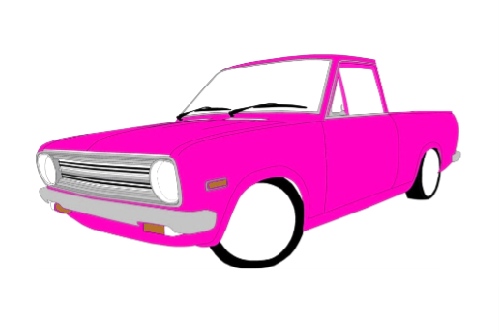 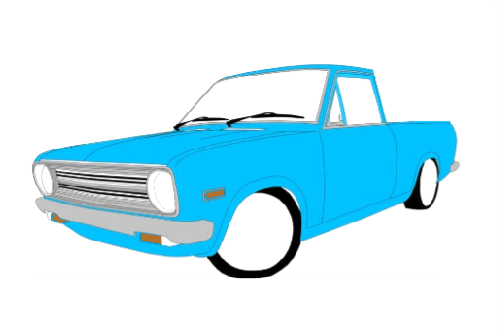 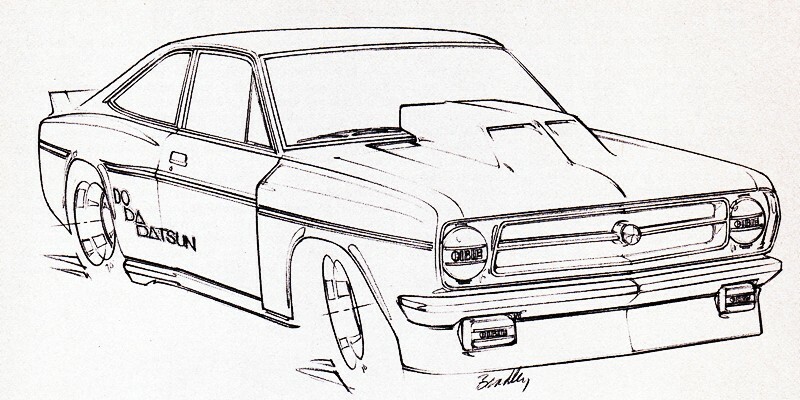 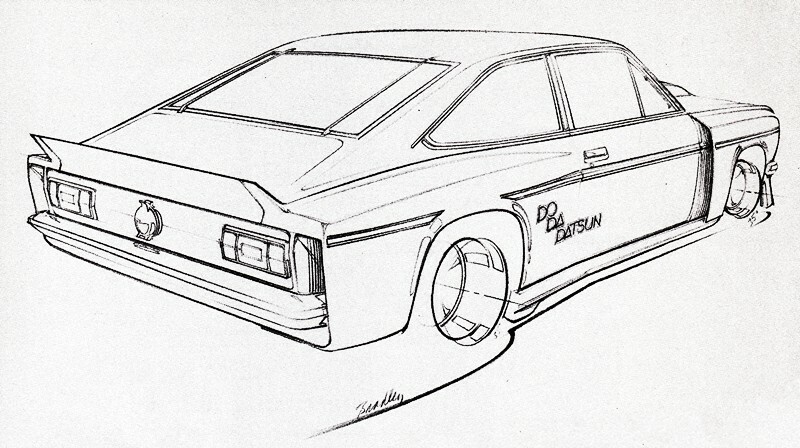 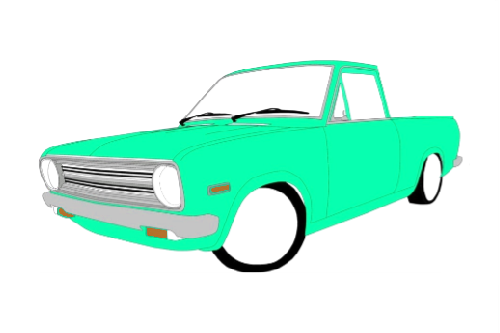 Drawings, sketches and cartoons of Datsun 1200. 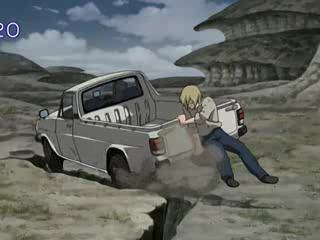 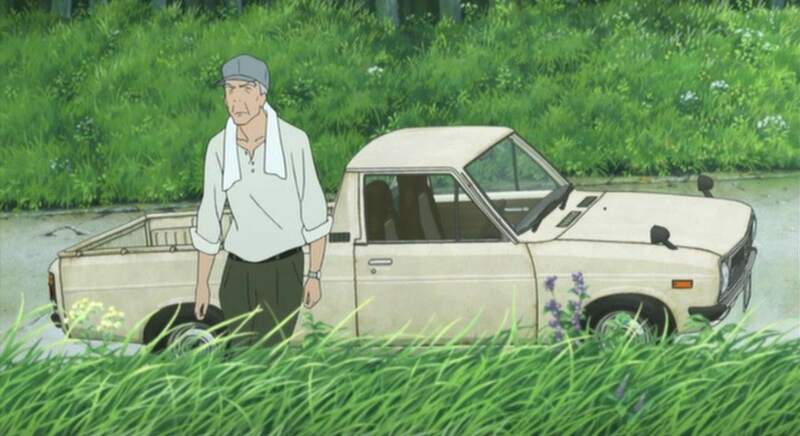 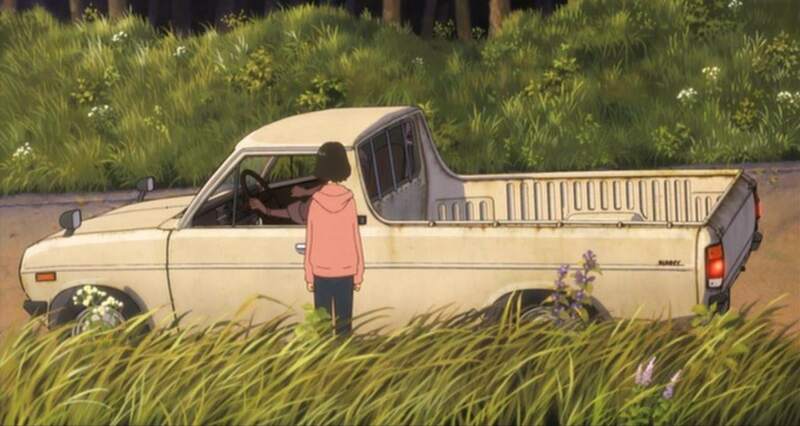 In the Anime movie 'The Wolf Children', the main farming character drives a Sunny truck. 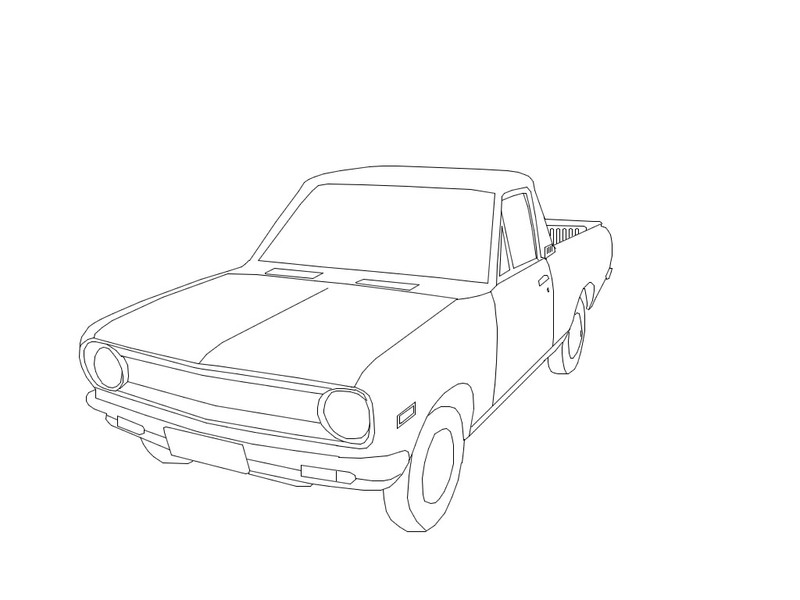 It appears in a few scenes, the proportions are a little off, but otherwise well detailed.